Performing arts have been a powerful human ritual for millennia. The Washington Post recently published a beautiful, interactive online piece called “This is Your Brain on Art”. In it, the viewer is taken through a series of animations, videos and texts that demonstrate and explain the science of why performing arts have such a unique and important effect on the human brain. The conclusion? When people are en masse, sharing a highly controlled experience like performance, we create a form of collective consciousness that nurtures our needs for finding meaning, social connecting, and emotional processing. Unlike its origins in open air amphitheatres, performing arts today is a very costly endeavor. Why? First, regardless of whether it’s theatre, dance, circus, or a hybrid genre, performing arts are forced to operate within the capitalist value system. To be a viable industry, performing arts budgets need to compete with those of other more easily profitable businesses. These budgets factor in costs for the time/skill of personnel and talent, the materials and equipment for design elements, the fees required to ensure all materials on a stage meet international safety standards, liability and workers’ insurance, travel/lodging expense for tours, and more. Another cost that the performing arts are now confronting is high-tech special effects that new technology make possible for the first time. It’s one of a few ways the performing arts industry is working to compete with the technological appeal of art digitally consumed in one’s home. The performing arts field is still eager to bring people together to consume art in a group setting in the uniquely valuable way the Post piece articulates. But with these costs of production adding up, combined with the desire to make performances accessible to audiences of all financial means, how is possible to advance the field forward? When creativity abounds and artists seek innovation in productions, how does it get financed? When evolving genres like physical theatre and contemporary circus emerge, integrating expensive elements like aerial acrobatics and high tech design, how is creation and production even possible? Circus and physical theatre like other arts and culture, are funded differently around the world. There are government funding sources, private benefactors/investors, institutions, and revenue generated from ticket sales and branded content that can finance artistic projects and companies. Arts councils receive a proportion of each country’s annual federal budget to fulfill the their mission. The councils allocate money to artists whose work aligns with that mission: Do the artists employ people? Enrich the community? Offer accessible education? 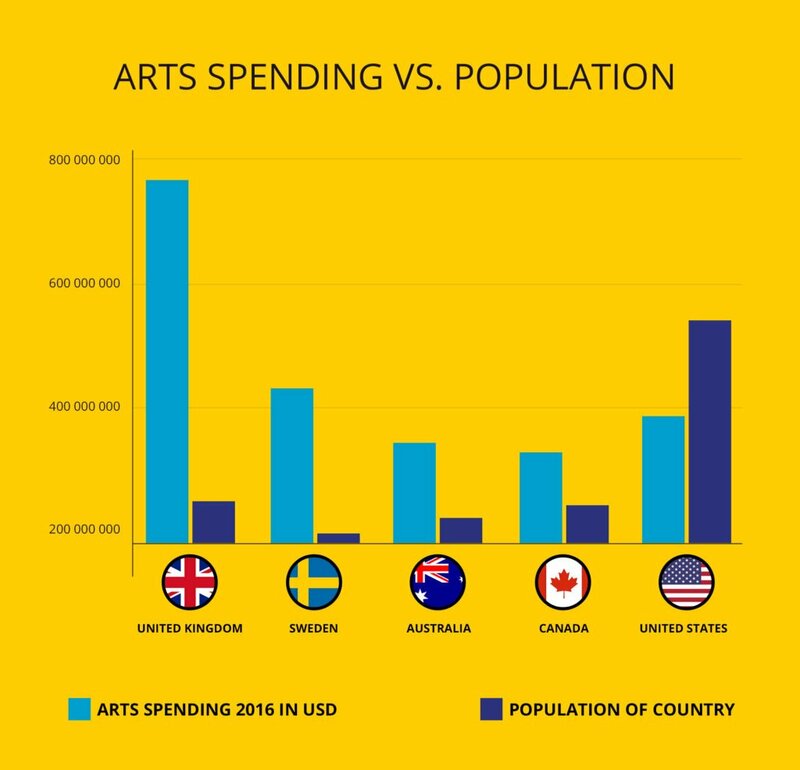 The proportion of a country’s annual budget that the arts council has to allocate to artists is where we see the most variance from country to country. In the countries that have government arts funding, a proportion of this does go to contemporary circus development and/or venues programming such work or similar acrobatic theatre. 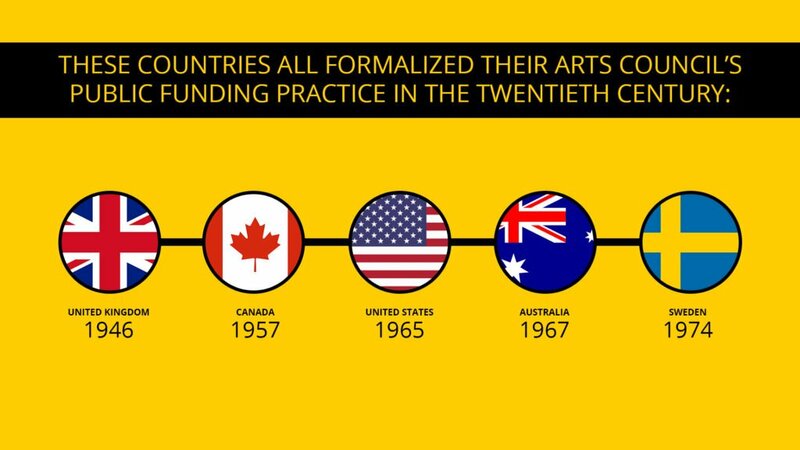 In the United States however, it is easy for emerging artists to be intimidated and disheartened when they look at the massive difference in government support in various countries. Though it has survived 52 years, the American National Endowment for the Arts (NEA) has a history of neglect from the US government. In 1965 Lyndon B. Johnson signed the agency into existence, stating: “Art is a nation’s most precious heritage. For it is in our works of art that we reveal to ourselves and to others the inner vision which guides us as a nation. And where there is no vision, the people perish.” Despite this enthusiastic inauguration, the agency’s existence has been threatened multiple times, most notably by Ronald Reagan in 1981 and again by Donald Trump today. Both have attempted to cut the department all together. About $2 billion goes into American arts/culture initiatives each year, most of which is contributed by corporate sponsorship, investors, benefactors, donor bases, institutional grants and box office profit. Perhaps it’s the antiquated “Patronage” model of wealthy people funding artists they enjoy, but to this day private donors still make up the majority of American arts funders. The NEA pumps out a meager average of $145 million across all 50 states per year in support of public arts programs. The NEA support accounts for 7% of the total budget for all American arts endeavors. The additional $1.85 billion funds performing arts, museums, visual art, education, design, and of course Hollywood, and must come from sources outside of the government. In countries that allocate more money to performing arts, innovation with newer forms of performance– like visual theatre and contemporary circus– have become celebrated by the funders, programmers, and audiences. 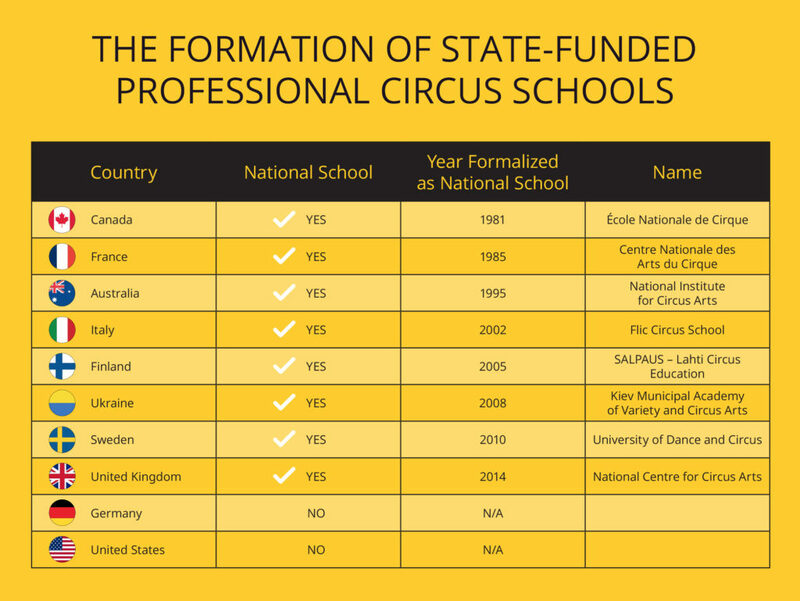 In France for example, professional circus artists receive “intermittance” from the government: provided they work a certain number of hours on a professional contract each year, the government pays artists a monthly subsidy to live, train and advance the level of their work when they are off of a circus contract the rest of the year. In order for performing arts to continue thriving in an economic and political landscape that doesn’t prioritize the field, artists need to be clear about the conditions that support successful art-making. To make a compelling performance, the piece has to be truthful; it has to reach people. At the end of the day, it’s not just money that makes that possible. Other factors contribute to a vibrant creative culture: early exposure to arts and arts education, a productive atmosphere in which artists can create work, the amount of time available for creation and a healthy mindset of those creating. Thus access to dynamic arts education, mentorship and inspiring role models is just as important as money when the goal is a truthful and innovative piece of art. Money is one factor, but it is not the only one. The environment for creation must be supportive. That environment could take the form of formal institution like a state-funded school or venue, but it shouldn’t have to be that big. A space with a skilled and communicative management team that knows how to collaborate with artists is really the most essential recipe for success. Communication here is key, artists and spaces can be better partners to each other, and work together to move things forward. It’s important that artists not let ourselves be beholden to government funding alone to make our work. Artists need to remember the value of our visions and of our voices. It’s the responsibility of creatives to keep creating, no matter what. By acknowledging the systems in place, artists can look at this landscape plainly and discern what we have and what we still need. These are the very skills that make artists able to creatively confront the challenge of working in performing arts. I’m an American aerial theatre director. My career thus far hasn’t been easy. This past summer I had an insatiable need to explore answers to the questions about the next steps in my creative career.What do I already have? What do I still need? What is my next step? 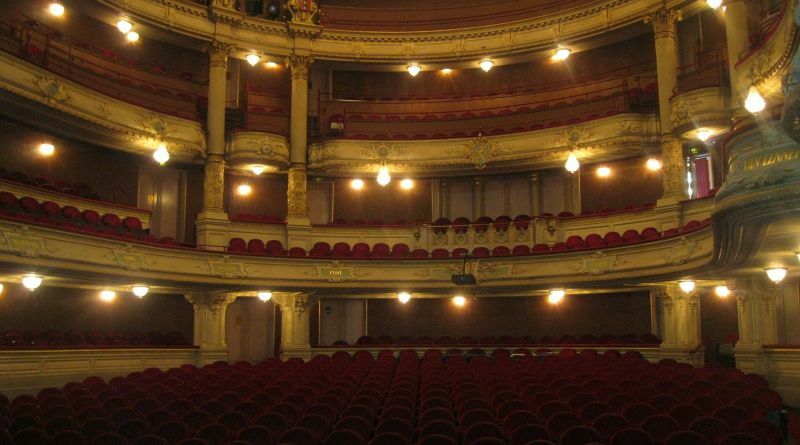 I spent six weeks in Europe, where the resources and infrastructure around performing arts are different. 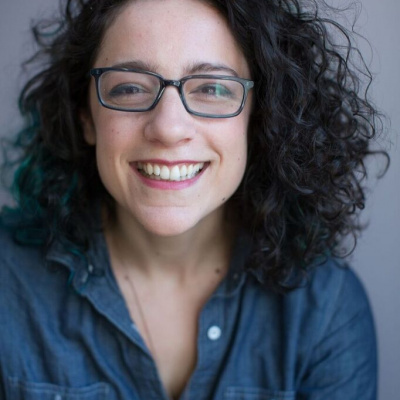 I immersed myself in creative environments with some of my favorite theatre and circus artists to learn what was different and if it was possible to learn lessons I could bring home to America. In Part Two of this piece, I’ll share some of my personal observations, discoveries, and the new questions I’m asking to move forward.